You probably already know that Disney World offers lots of free transportation options to help you get around. But did you also know that they make it just as easy (and sometimes even easier!) to drive? And they make parking at Disney World just as simple. 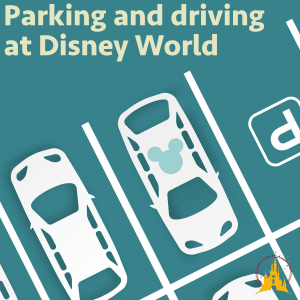 If you plan on driving (or are even thinking about driving) on your next Disney World vacation, we have some Disney World parking tips and suggestions to make navigating around Disney World property easy. How much does parking at Disney World cost? Can I get a discount for parking? What about Tables in Wonderland card holders? Can they park for free? Is Disney parking free after 6 p.m. (or 7 p.m. or 5 p.m., etc.)? If I leave and come back do I have to pay again? What if I Park Hop? Will I need to pay at both parks? Is Preferred Parking a good deal? Although parking at Disney World resorts used to be free, Disney started charging for it with bookings made March 21, 2018, and beyond. If you are used to receiving a paper parking pass that you displayed in your car on previous trips, don’t be surprised if you don’t now. With the introduction of MagicBands, Disney has been transitioning to a paperless parking pass system. Instead, you may be required to scan your MagicBands. Be prepared to have those ready at both your resort and the parks. Not staying on Disney property? Unless you are an Annual Passholder you'll be paying for parking at Disney World. Make sure you factor that cost into your total when you compare staying offsite to the benefits of staying on Disney property. The 4 main parks will have booths at the entrance to the lots where you stop to pay (if you are staying offsite) or show/scan your MagicBand (if staying onsite). Nearly all the booths will be open on both sides so you can pick whichever lane is the shortest. The booths take both cash and credit/debit cards. If you plan to use your Annual Pass for free parking, you may be asked to show your drivers license, too. If using an Annual Pass, we've always found it fastest to show the Cast Member the back of our Annual Pass card (where your name is located) and drivers license at the same time. Doing it that way makes it easy for them to match up both names quickly so we can be on the way! Once you have paid, parking at all 4 parks is self-explanatory, and there are tons of Cast Members working in the parking lots to help you find your way. All parking lots are well labeled with cute, themed names to help you remember where you parked. Make sure you remember the name as that is what the tram operators will call out when you head back to your car in the evening (more on that below). Take a picture of your parking space and the nearest lot sign each time you park! This makes finding your car at the end of a long day much easier. The road leading into the lot will have color-coded stripes to help direct guests to special parking spaces. If you need special parking (such as handicapped parking) be sure to ask at the booth where to go and the Cast Members will tell you which color you should follow. At Epcot, Animal Kingdom, and Disney Springs, Disney has charging stations for electric vehicles available on a first-come, first-served basis. To use the stations you'll need a ChargePoint card and you'll pay $0.35 per kilowatt hour. If you park too far away to walk to the front gates, all parking lots have trams that run all day on a very regular schedule (5-10 minutes apart). These trams are quick, efficient, and can significantly cut down on your walk if you find yourself parking further back than you'd like. Traveling with a stroller at Disney World? As with the buses, you will have to fold your stroller before boarding the tram, so keep that in mind as you unload your car. It might be easier to fully unpack/prepare your stroller for the day after you exit the tram at the park gate. At the close of business, thousands of people will be heading out of the park. When the parks close, lines will form for the trams like those for the buses. However, the tram lines move very fast and it shouldn't take too long before you are being dropped off near the end of the aisle where you parked. At the end of a long day, everything can start to blur. 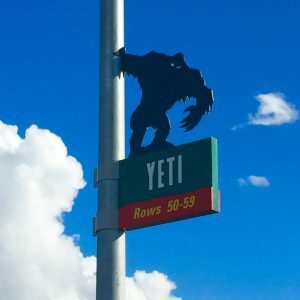 When heading out to the lots the tram drivers will tell you both the lot name (for example, "YETI") and the row numbers (i.e. "rows 50-59"). While you wait to board the tram is an excellent time to double check the picture you took that morning of your parking space. That way you won't be scrambling and you'll know exactly when to hop off the tram. Since many people rent a car at Disney World and since many rental cars are the same color, consider tying a brightly colored ribbon to an antenna to make it easier to spot your car. If you don't have an antenna, as long as you are close enough to make it work, you can use your car's key fob to blink the lights or honk the horn. If you are leaving at park closing (along with thousands of other people), don't be surprised at how quickly and efficiently the parking lots empty. If you've ever attended a large sporting event or concert where there are thousands of people all trying to leave at once, you may have experienced long lines of cars with nobody moving, people getting angry, and general chaos. Not so in the Disney parking lots. You'll be happy to find things to be amazingly easy and simple when leaving. No non-moving bumper to bumper lines of cars or chaos to be found. The exit signs in the parking lots are well labeled. It is as easy to find your way out of the lot as it is to find your way in. Parking for Epcot is located straight out in front of the park. Guests that are parking roughly 45 minutes before the park opens can expect to have an easy walk to the gates. In many instances, guests parking that early will not even need to use the tram. Hollywood Studios is undergoing lots of construction right now and that can cause frequent parking lot changes. Again, arriving 45 minutes before the park opens can generally mean that you park close enough that you won't need a tram. The Animal Kingdom parking booths are notorious for not always opening as early as the other parks. In the past, guests might find the booths closed when arriving before 8:00 am. and this would make it difficult to get to 8 a.m. breakfast reservations without having to really hustle. But with Pandora now drawing larger crowds, that seems to not be as common of an occurrence anymore. The Animal Kingdom lot also frequently has early morning guests parking further back than you might find at other parks. Some days arriving 45 minutes early might get you within an easy walk to the front and other days you might need to hop on a tram. Driving and parking at Epcot, Animal Kingdom, and Disney’s Hollywood Studios is usually just as fast (if not faster) than using Disney bus transportation. With these 3 parks you park your car in lots directly outside of the gates. Because the parking lot for Magic Kingdom is actually about a mile away at the Transportation and Ticket Center, it is usually faster to use Disney's transportation. Guests that drive and park must first hop on the monorail or ferry in order to get to the front gates of Magic Kingdom. However, if you utilize Disney bus transportation, you are dropped off right outside the gates - no monorail or ferry needed. The other Disney transportation options (boat & monorail) from applicable resorts are also usually faster than driving. If you decide to drive to Magic Kingdom, we recommend you add on an additional 30 minutes to your transportation time. That additional time allows you time to park, walk or take the tram to the Transportation and Ticket Center, and then time to ride the monorail or ferry over to the front gates. Disney is an expert at wayfinding signs. Even people that get lost going to their local grocery store should have no problem navigating Walt Disney World. Major directional signs are bright purple, which makes them easy to recognize. As you approach the Walt Disney World Resort, the signs for the resort hotels will be purple in color and start off more general. 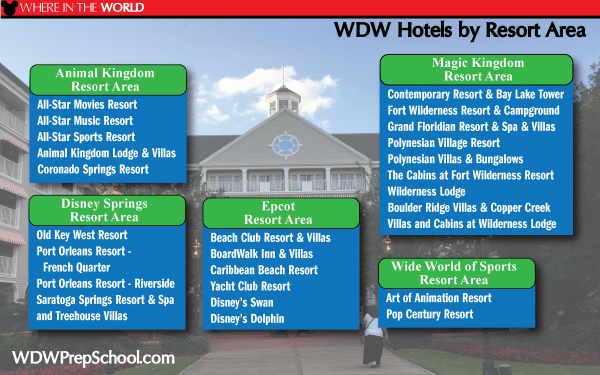 And the hotels will all be grouped by areas such as “Epcot Resort Area”, “Magic Kingdom Resort Area”, "Animal Kingdom Resort Area," etc. As you get closer to your destination you will begin to see specific signs (which will be blue) for your resort. To make it easier to get where you are going, make sure to know within which area your resort is located. This is especially true if you are planning to visit another resort hotel for a meal, etc. 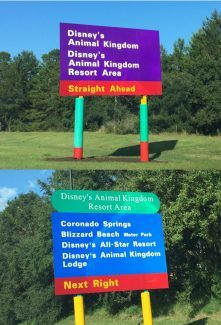 The signs for the 4 main parks, 2 water parks, and Disney Springs (formerly Downtown Disney) are self-explanatory and plentiful. You can’t miss them! There are usually multiple ways to get to and from different locations. If you miss a turn or an exit, don’t panic; just keep following the signs. Map apps works well on Disney property so be sure to have one ready to use for your trip. 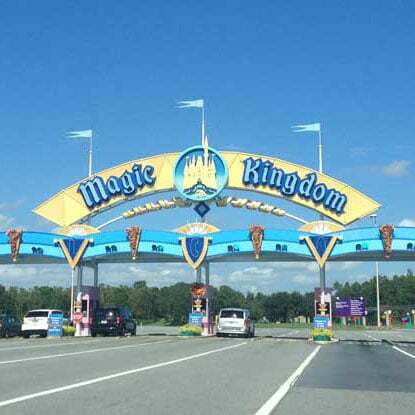 Did you know that there is more than 1 of the big "Welcome to Walt Disney World" gateway signs? 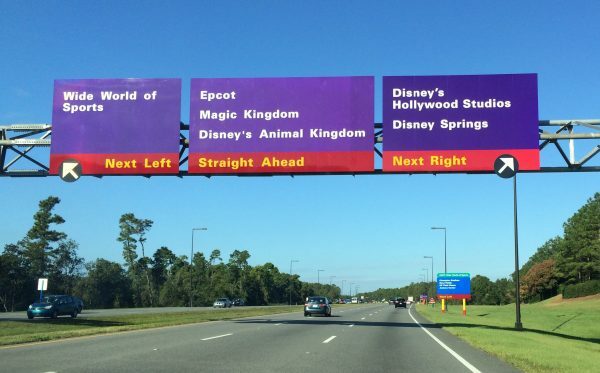 All of the main entrances to Walt Disney World have the giant signs. Don't get confused (and argue with your spouse that you are going in circles) if you feel like you keep going through them. You've probably just made a loop and are going back into or out of the Walt Disney World Resort on a different road. It is important to note that stopping to photograph the signs is not allowed. If you want a picture make sure to have your phone or camera out and ready. Use burst mode on your phone to snap a rapid series of pictures so you will have several to choose from. Venturing off Disney property with a car? Florida is full of toll roads. Many of the direct routes to Walt Disney World require you to pay a small fee. 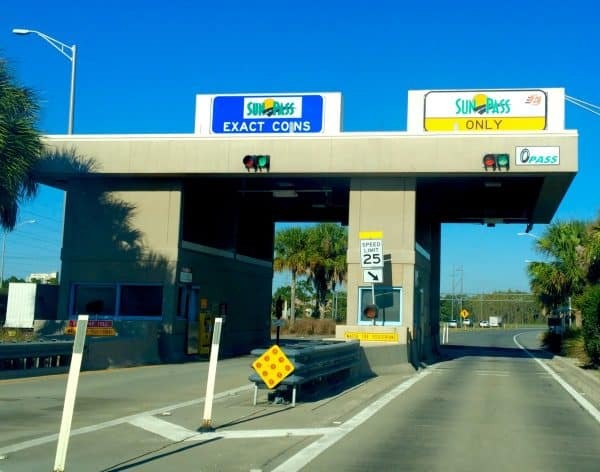 The toll roads around Disney World use the SunPass system. Unless you have your own SunPass transponder (which allows you to use the special Express Lanes), you will want to be prepared with change to pay your tolls. Toll booths may be unmanned. Having exact change (a baggie full of $8-$10 dollars worth of quarters would be sufficient for the drive to and from the airport) is absolutely necessary if you will be going down any toll roads. Be careful with this offer. You will be charged the daily fee every day of your rental in addition to the cost of the tolls. Annual Passholders can park for free but there aren't any discounts for parking. Yes! If you are dining in the parks and you have a Tables in Wonderland card you can park for free. If you park before 5 p.m. you will need to pay to park and then take your receipts to Guest Relations to be reimbursed. If you arrive after 5 p.m. you will just need to show your Tables in Wonderland card at the parking booth. No, unfortunately. We will say that if you are heading into the lots near closing you will often find the booths closed up or Cast Members will just wave you in, but there is no specific time when parking is "free" so you should always plan to pay. Nope! Just save your receipt! Nope! Save your receipt from the first park and show it when you park at the 2nd park. We don't think so. If you plan to arrive early (like our touring plans suggest) you'll likely be parking in the rows directly behind the preferred parking. The $25 you'd save per day on just using regular parking will buy lots of Mickey ice cream bars, and that is probably money better spent. Yes, but only at the Deluxe resorts and at Disney Springs. Valet parking costs $33/day but guests with a Tables in Wonderland card or ones that qualify for handicapped parking can valet park for free. Want to drive during your trip but won't have your own car? 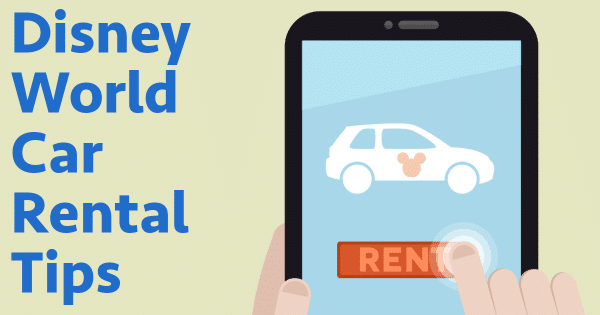 Check out our guide to Disney World car rental for info on how that works. If you have been thinking about driving but were worried it would be too confusing - don't. Like many other things Disney does, they made navigating the Walt Disney Resort simple enough that even the most directionally challenged could do it. If you aren't sure that driving is for you and you'd like to see what Disney has to offer for transportation, you can read about how to navigate using Disney World transportation. Have you tried parking at Disney World before or still have questions? Tell us about it in the comments below. I am what I would consider knowledgable, but thankfully I read WDW Prep School. Today I learned that with TIW, we can valet park for FREE! Thanks, Shannon! Always, always learning! We’re staying off property. Does the daily parking fee at parks also cover parking (on the same day) at a resort hotel? I am confused about the magic kingdom parking you mentioned. Are you saying (if going to magic kingdom that day) that it is faster to park at another Disney park and take the buses to magic kingdom compared to going to magic kingdom’s parking lot? If you are having breakfast at the contemporary at chef mickey and staying at another Disney resort, can you park at the contemporary in the morning, then go to MK all day using the monorail and come back at night to pick up your car? Or do you have to get your car to the MK parking lot after breakfast? Officially, you can leave your car there for 3 hours. Unofficially, they almost never care. Is a UK blue disabled parking badge accepted at the parks/resorts? Can someone clarify whether there is a resort parking charge for those with a handicapped placard? I have been seeing conflicting information. Q. Will DVC Members be charged for parking at a Resort hotel? A. Members will not be charged for standard overnight self-parking when staying in a Disney Vacation Club Deluxe Villa at Walt Disney World Resort, Disney’s Vero Beach Resort or Disney’s Hilton Head Island Resort, regardless of whether they use Vacation Points or another form of payment. Members also will not be charged to park when using vacation points to stay at a Walt Disney World Resort hotel. A Member who chooses not to use vacation points for their stay at a Walt Disney World Resort hotel in an accommodation other than a DVC Deluxe Villa will be charged for standard overnight self-parking. Is there a map of where each parking toll booth is located? Also do you have a map of which parts of the lot are preferred parking? My daughter-in-law is not happy that I want to stay off property at a villa where we have 5 bedrooms instead of a room with two double beds. There are 8 in our party and it will require 2 rooms at a Disney resort. She says she has heard horror stories about the amount of time it takes to get to the park when you drive yourself. I understand where you stay makes a difference on the amount of time it takes to get to the parking lot but can anyone tell me their experience on time it takes to get from the parking lot to the Magic Kingdom gate? We are going the first week of October 2018. Thanks. There’s a google maps feature where you can enter address and estimated departure time. Try it. The villa route may or may not be near a rush hour bottle neck. Hope this helps. we are camping at Wilderness. When going to MK can we park (for free) at the contemporary? Also, my husband will be working a couple overnight shift in Orlando that week. Will he have any issue coming/going from the park at really odd hours? You will not be able to park at the Contemporary unless you’re staying there or having a dining reservation. You can take the boat from Ft. Wilderness to Magic Kingdom. Shouldn’t have any issue coming/going at all hours. Hello, If i pay to park my car at a Disney hotel does that mean I can then use my car to travel to and from the parks. Or would I get charged parking at the hotel and then charged again when I got to the park ? I am either confused or there is an error in the post. The point is to speak to the fact that you now pay a parking fee at the resort. However, in the Resorts section under Parking Costs at Walt Disney World it says “Free if you are staying at that resort”. On site guests: pay a resort parking fee, but there is no fee to park at the Disney parks. Off site guests: pay a fee to park at the Disney parks (hotel parking fee will depend on the off-site property individually). Hope that helps? 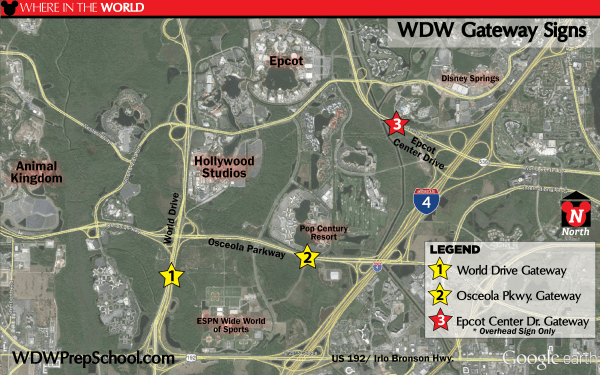 Driving to WDW from NC in one car but staying two on site rooms; will that necessitate two parking fees? or will they ask (and trust the answer) as check in? So do Annual Passholders pay to park at resorts? Yep! But not at the parks. This new parking charge is very disappointing! When I drive I park my car and don’t go back to it until the end of the trip. I’m wondering if finding parking offsite and taking an Uber in and then back to the car st the end of vacation. Disney sure is making it hard on us who travel on a budget. You could rent a car to get to WDW, drop the rental car off at the Disney Car Care Center and then take a bus/shuttle to your resort – that is what I would do if I weren’t using MME. What about staying at the campground? We will be coming April 1-10 this year, will we have to pay parking at the resort? Or is this fee for new reservations made after March 21? I believe I heard that if you have already booked reservations you are still granted free parking. We go in December but have already pre-paid the deposit. Is this accurate? To clarify, it’s for bookings made on March 21, and later. If you book before then, you still get free parking. The way I understood the announcement was that reservations made after 21 March would be charged parking. I have already booked a trip for Jan 2019, and the way I understood it was I will NOT be charged for parking on that stay. If I had made that reservation after 21 March, I would be paying for parking. Is that the way you understand it? Hi I am a little confused. First time going in 2019 and we rented a car. I am planning to leave the car at the hotel car park as we will be using Disney transportation to and from the hotel. Do you still get charged for having the car at the hotel car park- more specifically the Pop century resort. Yes, anybody staying in a Disney resort and leaving their car overnight will be charged the daily fee. We always fly to FL & we always rent a car. Mostly because we have family that we visit while there but I love the independence it gives us. We can do what we want, when we want & I don’t have to worry about waiting on anything that might breakdown or be late. Parking is free if staying onsite so there is not added cost. We usually only use 1 tank of gas when we rent one too. It’s just part of our travel cost. Super convenient & easy! Parking is not free anymore at the walt disney resorts. We will be parking at the Polynesian for breakfast reservations at Ohana. We planned to leave our car parked there all day while we go to Magic Kingdom after we eat. You mentioned that parking at a resort for dining only gets you 3 hours of parking. What will happen when we try to leave after parking at the resort all day? Will they charge us on the way out? We are staying at a Disney resort, just not the Poly, if that makes a difference. Officially, leaving your car there all day isn’t allowed. Unofficially, they usually allow it. The front row of each tram car actually sits twice the number of guests as a regular row, so try to get in line for the front row as it will move faster.